We never know Why we Like Someone More than others. 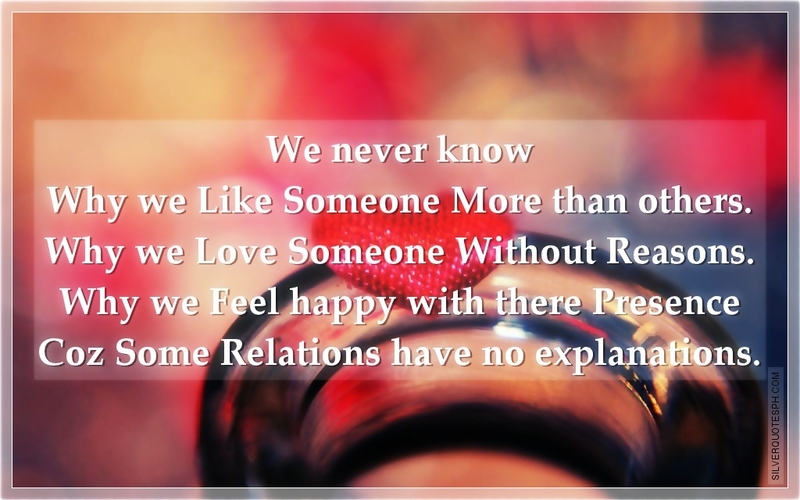 Why we Love Someone Without Reasons. Why we Feel happy with there Presence Coz Some Relations have no explanations.